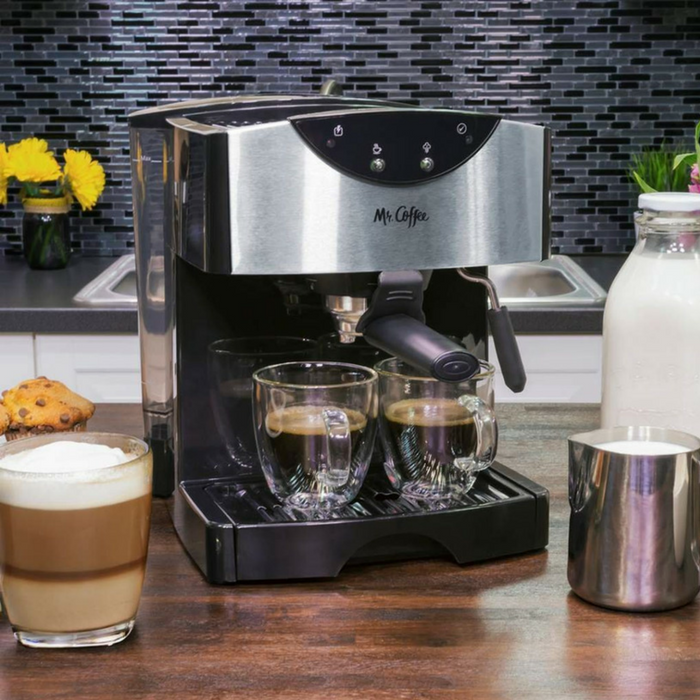 Mr. Coffee Dual Shot Espresso & Cappuccino System Just $56.99! Down From $100! PLUS FREE Shipping! You are here: Home / Great Deals / Amazon Deals / Mr. Coffee Dual Shot Espresso & Cappuccino System Just $56.99! Down From $100! PLUS FREE Shipping! Calling all coffee lovers! Score this awesome Mr. Coffee Dual Shot Espresso & Cappuccino System at Amazon where it’s on sale for just $56.99 down from $99.99 PLUS FREE shipping! Have the ability to make coffeehouse quality espressos and cappuccinos in the comfort of you own home! The Mr. Coffee 15-bar pump espresso maker delivers high-quality drinks on a consistent basis. The thermal block heater makes brewing faster and a removable water reservoir makes it easier to get started. Nice!